Italy is one of those destinations on everyone’s bucket list, and for good reason. When you think of Italy, images of the Colosseum in Rome or the canals in Venice spring to mind, or perhaps you think of those scenic parts in the south such as Capri and Positano. All of these places are gorgeous and have something to offer, but have you ever thought of visiting the very tip of the “boot”? Sicily, the largest Mediterranean island, is just off the “toe” of Italy’s boot and offers travellers a dazzling diversity of landscapes and cultural treasures. Imagine yourself sailing around the unspoiled Aeolian islands from the Portorosa marina sipping superb homemade wines while sampling traditional Italian cuisine. The Moorings, the world’s premier yacht charter company specializing in tailor-made luxury vacations, has rounded up their list of the top five reasons to visit Sicily this Spring on a chartered yacht – when the warm weather is just right for sailing in the Mediterranean Sea. 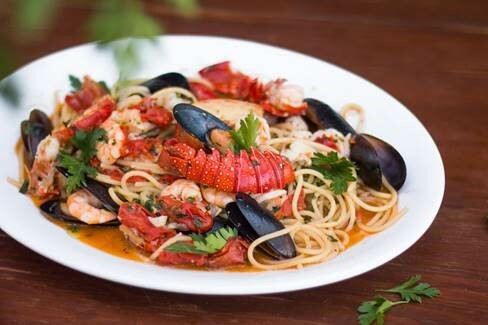 The flavours of Sicily alone will make you second guess why it took you so long to make a trip there! As a city which borders the sea, the seafood is as fresh as it gets and plentiful at that. 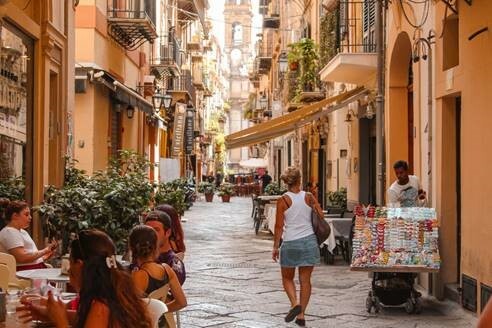 In addition to the seafood, carb-loading pizza and pasta, and local cuisine, Sicily offers visitors a robust street food scene. 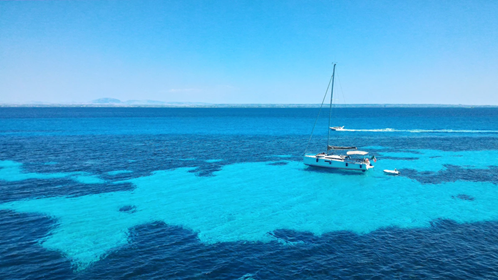 After a day of sailing, your captain will dock the yacht to give you a chance to visit the “main street” and sample the arancini (stuffed rice balls) and granita (a semi-frozen dessert in various flavours). This is one of the best ways to experience the culinary landscape of this southern region. If you choose a fully crewed charted you will also have the chance to cook alongside a professional chef on board your yacht, who will demonstrate how to prepare some of your favourite Italian dishes! The Aeolian Islands are located off the coast of Sicily and offer seas as clear as the Bahamas, landscapes worthy enough to be film sets and exceptional restaurants.Your experienced skipper can provide knowledge of some of the best islands to visit including Vulcano, Lipari, Stromboli, Salina and Filicudi. Volcanos, warm mud baths, historical museums and pristine white beaches await you as you embark on new adventures every day. 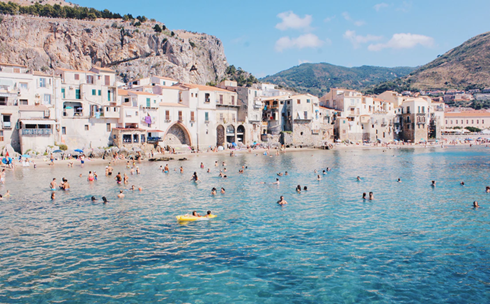 As the largest Mediterranean island, Sicily is home to some of the most spectacular Italian beach towns. The ocean water is so clear and blue, you’ll have a difficult time getting out of the water once you jump in for a swim. Another pro to Sicilian beaches is they tend to be less crowded than beaches in the Amalfi Coast, offering a less touristy vibe. Want to avoid the crowds? Drop anchor close by and dive right off the deck into your own private paradise. Wherever you go in Sicily, you’re never too far from a breathtaking view! With hilltop towns, cobblestone streets and a rugged coastline hugging azure water, this pretty place will have you reaching for your camera every opportunity you can. 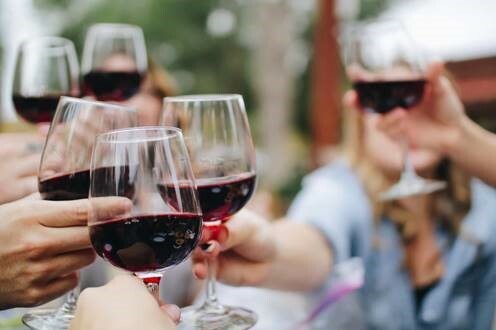 After a day of sailing, you’ll enjoy sitting on an outdoor patio taking in the picturesque views, eating a fresh Italian meal and sipping on some local vino. See you in Sicily! Next articleBoating Festivals & Water Sports – Get the Real Feel of Spring in Newport Beach!